The new booking system for the Campus Shuttle is now open. The booking system is known as My Mobile Tickets, a service provided on behalf of The Kings Ferry by Mobile Onboard Limited. Log in using your University of Kent details. The first time you register you will be asked to confirm your email and mobile number. Choose the direction of travel for your journey and press ‘Book’. Choose the date and time you wish to travel and press ‘Select’. Check your booking details and press ‘Get Ticket Now (Free)’. On your Tickets page, click ‘Show Ticket’ to access your ticket for boarding. If you have a smartphone you can scan the ticket on your phone on the device located on the shuttle vehicle. If you do not have a smartphone, you can download and print your ticket. Scan the printed ticket when your board the shuttle. We hope you enjoy travelling on the service provided by the University of Kent and operated by The Kings Ferry. This entry was posted in News and tagged booking open, campus shuttle, campus shuttle booking system, mobile on board, my mobile tickets on January 17, 2019 by Miriam Sandiford. We’ll be publishing more information for the new improved service in the New Year. 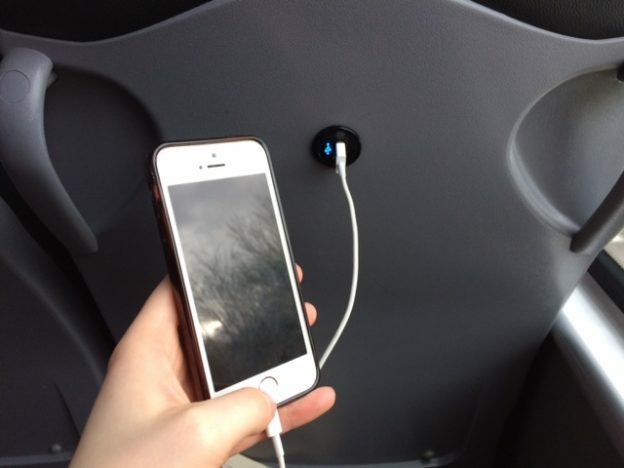 This entry was posted in News and tagged campus shuttle, liberty quays, new coaches on December 17, 2018 by Miriam Sandiford. The last day the shuttle will be running this term is Friday 14 December 2018. Thanks to everyone who has travelled with us. We hope you have enjoyed using the free service. The shuttle will start running again from Monday 14 January 2018. Thank you to everyone who completed the shuttle survey. Your feedback is very valuable and will help inform university senior managers to make decisions about the shuttle service. We will provide a further update in January. This entry was posted in News and tagged campus shuttle, thank you on December 11, 2018 by Miriam Sandiford. We are pleased to announce that The Kings Ferry have won the tender for the Campus Shuttle and will continue to run the shuttle service for the next few years. As a trial, the Campus Shuttle will run to and from the Dockyard. The service will continue to run on an hourly basis. The Transport Team and The Kings Ferry will be monitoring the effect and usage of this additional stop. This will be a term by term trial. 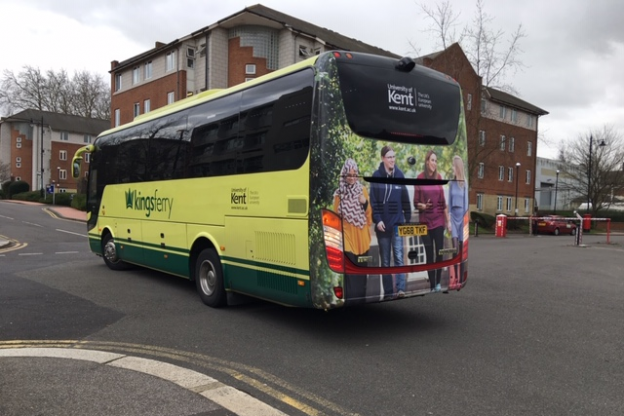 The Campus Shuttle is a free service for University of Kent students and staff between the Canterbury and Medway campuses. If you would like transportation between Liberty Quays and the Dockyard you can purchase a discounted ticket for the 191 Arriva bus . 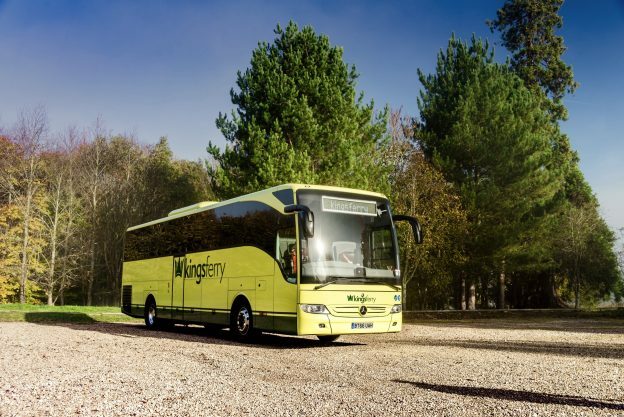 As part of the new contract The Kings Ferry are providing two new larger vehicles, one 33 seater and one 49 seater. Features of the new vehicles include Wi-Fi, USB charging points, more comfortable seats, a toilet and fold out tables on the larger vehicle. We will be providing more information shortly once more details are fully confirmed with The Kings Ferry. Please check our transport news webpage or the Campus Shuttle webpage. This entry was posted in News and tagged campus shuttle, Dockyard, The King's Ferry, trial on August 21, 2018 by Miriam Sandiford.